In part 1 of this post, I presented the pro side of the chief argument of The Challenger Sale: Taking Control of the Customer Conversation – the Challenger sales person does a much better job of selling than the Relationship salesperson. In part 2 of this post, I will present the con side. Brian Burns is the author of The Maverick Selling Method: Simplifying The Complex Sale. Mr. Burns is one of the harshest critics of The Challenger Sale. In his videos below, he argues that you can’t trust research conducted by people who have never sold, and flatly states that the Challenger Sale does not work. Beyond his videos, I couldn’t find anything in writing from Mr. Burns that he adds to his arguments from his videos. Linda Richardson, author and sales trainer, in her blog “Challenger’s Missing Link,” believes the book has contributed to “underscoring the need for salespeople to take advantage of research and data available to them.” Ms. Richardson argues that the book is inspiring Marketing Departments to provide better knowledge sharing to help sales teams engage and add more value to customers. However, Ms. Richardson says that the missing link in the book is the “validation of the customer’s perspective through questioning and dialogue.” While salespeople may know about an industry than most customers, she says you still need to know how customers think, and what’s important to them before you can sell to them. One of the most controversial sales books to come out in recent years is The Challenger Sale: Taking Control of the Customer Conversation by Matthew Dixon and Brent Adamson. In a nutshell, the authors argue that the key to successful selling isn’t relationship building as we know it, but challenging your clients to make a buying decision. This is done by finding clients who can act quickly, delivering insight, teaching something new, tailoring your message, and taking control of the sales process. Based on a study of thousands of sales professionals, the authors found there are 5 categories of salespeople – Relationship Builders, Hard Workers, Lone Wolves, Reactive Problem Solver, and Challengers. Of the five categories, the Challengers consistently come out on top in exceeding their sales goals compared to the other types of salespeople. This is especially true in long and complex sales cycles. In this first post, I will present videos taking the pro side of the Challenger argument. In the second post, I will offer you the con side of the argument. In the third post, I will offer you a mixed point of view. In my final post, I will offer you my opinions about the book. Below is a video from Perry Holley about the Challenger Sale. Mr. Holley admits that he has been mostly a Relationship salesperson. However, he now agrees that the Challenger approach is better. He points out that of the five categories mentioned above, the Challenger salesperson was 40% more successful than the Relationship salesperson. The key difference is that while the Relationship salesperson focuses on relieving tension with clients and being in the customer’s comfort zone, the Challenger salesperson focuses on using insight to create constructive tension in the sales process, and pushes the customer out of his comfort zone. Without tension, Mr. Holley argues, clients may not upgrade your services, or just issue an RFP (request for proposal) and see what other vendors have to offer. In short, it is better to be respected than liked as a salesperson. Below is a video from InsideSales.com with Matthew Dixon discussing his book in detail. He argues that customers today are savvier in making buying decisions because of the wealth of information online. Thus, they don’t need to rely on salespeople as much as they use to. That being the case, what customers are seeking today from salespeople are those who can offer value by providing them unique perspectives on the marketplace, helping them avoid making mistakes, educating them on the best solutions, and making it easy for them to buy from you. Customer loyalty is based on the idea that what is important is not what we sell, but how we sell it. The Challenger sees relationships as a means to an end, and that they are actually better relationship builders than the Relationship salespeople, because the relationships are founded on insight not on being agreeable. What I found most interesting is that in a highly complex sale, the Challenger is 54% more likely to close a sale vs. just 4% by the Relationship Builder. You just returned from your first trade show. You are both tired and excited. You have plenty of leads to call. You are anxious to start dialing. But before you start making any calls, what did you learn from the trade show? What were the key takeaways? It’s always a good idea to sit down with others who attended the show with you and analyze how well you did, and how you could improve at the next show. 1). Did you obtain the number of leads that you expected? If you have gone to the same trade show in the past, that should be a good measuring stick on how well you did. If you fell short this year compared to last year, what happened? Was attendance down compared to last year? Were you in a bad location? Was your booth too small? Did you have enough people managing the booth this year compared to last year? Could you have done a better job publicizing the event prior to exhibiting at the show? If this is the first time your company attended the trade show, did it meet your expectations? If not, what do you think happened? Would you attend the same event next year? 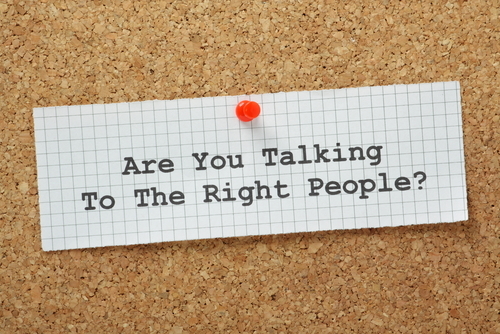 Sometimes it’s not the quantity but the quality of the leads that matter. Sure, maybe you had fewer leads than expected or the year before, but if you need a better job this year qualifying your leads, you may actually obtain better sales. 2). Exhibit Booth Location. Were you in a location with good walk-thru traffic? If not, is there a better location that you can select for next year? At most trade shows that I’ve attended, the prime location is always near the front entrance. However, that location is usually expensive. The next best location is at a corner, or near a heavy walk thru areas like the restrooms or food court area. Depending on the number of exhibitors, booth location may not make much of a difference. For example, I’ve attended trade shows where you only had 15 to 20 booths. So no matter where you were located, you would expect prospects to eventually stop by. 3). Exhibit Booth Size. 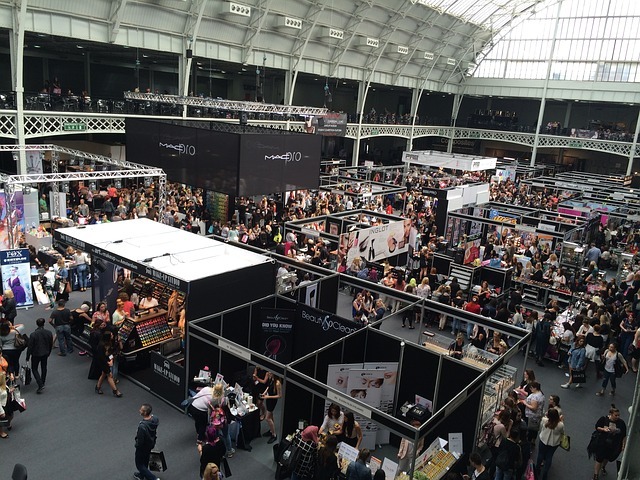 Was your booth large enough to attract more prospects? If not, does it make sense to make the booth larger next year? At larger trade shows were you have 50 or more exhibitors, and 5,000 plus attendees, size does matter. Depending on the length of the trade show, not all attendees are going to have time visiting each booth. So if you have a larger booth, have more displays, and have more literature, you stand a better chance of attending more prospects. 4). Pre Show Publicity. Did you do enough to publicize that your company was exhibiting at the trade show? Did you promote the event well on your website? Did you send out enough emails to your clients and prospects before the show? Did you use social media (e.g., Twitter, Facebook) effectively prior to exhibiting at the show? If you were lucky enough to obtain the attendee list prior to the show, did you do an effective job publicizing your booth? Would it have been a good idea calling attendees prior to the show? 5). Enough Booth Coverage. Did you have enough people working the booth this year? Did you have too many attendees walk away because there weren’t enough employees managing the booth to help them? I hope the above checklist will help you in future trade shows. Please let me know if you have any suggestions. While the experts in the previous videos may have different tactics on how to find the decision maker, it’s clear how important it is to find that person. If not, you may end up wasting precious time that you don’t have. 1). Do some research. Before making sales calls or following up on inbound requests, I take a few minutes to research the company on LinkedIn, the company’s website or if available through my employer, a lead generating tool. a). Besides yourself, who else is involved in the decision-making process? b). Can you explain to me how your company makes these kinds of decisions? Can you go through the process with me? Once they review the decision-making process with me, I may ask – what role do you play in the decision-making process? If they tell me bluntly that they are the decision maker, wonderful! If they hem and haw, I will dig further. 3). My gut feeling. Sometimes my gut tells me that my prospect isn’t telling me the complete truth. It happens. I’ve had situations where I discover that the prospect is just doing his own research, and he even hasn’t told his boss what he’s doing. I don’t get angry. Instead, I try to bring him on board as an advocate for my employer’s products or services. I work with him and slowly try to build a consensus with him and others on his team. This is especially true if you are dealing with a large company that has a long sales cycle. You just have to be patient. 4). More than one decision maker. Contrary to popular belief, these days there may be more than one decision maker. This is especially true at large companies. While one person may sign on the dotted line (usually someone in finance), it may take several discussions with several key players to reach that point. You just have to be patient. When it comes to finding the right decision maker, take your time but be persistent. It will be worth it. Tracey McCormack, Founder & CEO of McCormack Media Services, argues that these days many companies may not have a single decision maker, and that you need to build consensus within a company before a buying decision is made.